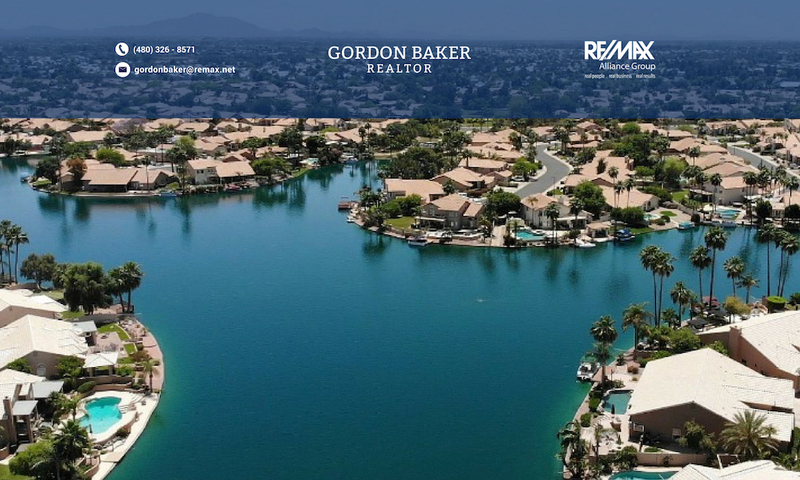 Phoenix area water ski homes and communities are attractive and unique because they offer residents an opportunity to enjoy water skiing and wakeboarding in their own backyard. When buyers are considering water ski homes for sale, they should understand the added cost and maintenance involved with maintaining a ski lake since it has to operate at a higher “full body contact” level. The maintenance and upkeep of the lake are extremely important and any neglect could cause health problems for those that use the lake. This ongoing task will most likely be contracted out to a company that specializes in monitoring and maintaining urban lakes including ski lakes. Chandler and Gilbert Average Prices for Sold Homes in 2008 & 2009. I heard a saying that accurately describes our current media. It is credited to Mark Twain, “If you don’t read the newspaper, you’re uninformed. If you read the newspaper, you’re mis-informed”. I guess the more things change the more they stay the same! This description also applies to those 5 second sound bites regarding real estate in Arizona. I feel more comfortable when I can see the data and draw my own conclusions. It is an oft used phrase but all real estate is local so what applies to the country does not necessarily apply to our corner of the state. Here’s a local look at two desirable cities in the Phoenix area, Gilbert and Chandler. According to CQ Press, an independent publisher, Gilbert is among the safest cities in the United States, 24th among cities with over 75,000. For municipalities in Arizona, Gilbert ranks as the safest community. The analysis used crime and population data as reported to the FBI by local law enforcement agencies for 2008. This is great news for lovers of Gilbert waterfront homes, lake communities, water ski lake homes and wakeboard aficionados that are looking at homes or property in such subdivisions as The Islands, Val Vista Lakes, Playa del Rey Estates, Crystal Point, Santan Lakeside Estates, Stonebridge Lakes, Wind Drift and Lago Estancia. You’ve found the perfect waterfront home in your favorite lake community. Your offer has been accepted and now the 10 day inspection period begins. There are resources to assist you. The Arizona Department of Real Estate has published the Buyer Advisory to help buyers understand the documents used during the transaction, help investigate the condition of the property, and assist in evaluating the area surrounding the property. Section 6 of the AAR Residential Resale Real Estate Contract instructs the buyer to conduct all physical, environmental, and any other inspections within the inspection period. This includes consulting government agencies, lenders, insurance agents, and others regarding zoning, fire, health and safety codes. The Department of Real Estate has created the Home Buyers’ Bill of Rights to help buyers be aware of material issues regarding the property. I also created a page on my website in order to educate buyers on the home buying process. Hiring a competent inspector is also a major part of the process. These activities are important but do not constitute a complete inspection. Water sport enthusiasts,campers and fisherman that live above the 101 freeway in Peoria, Glendale, Ph0enix, Cave Creek, and Anthem will count themselves lucky with their 15 mile or less commute to Lake Pleasant. They are conveniently located near the largest lake in the Greater Phoenix area that offers 10,000 acres of water and 50 miles of shoreline. Lake Pleasant Regional Park offers two paved boat launching ramps; a 10 lane ramp and a 4 lane ramp with plenty of adjacent parking making easy access for boaters, water skiers, fisherman, jet skiers and wake boarders.